Tulsa Event Video Blog - Do I Need a Videogapher? Do I Really Need a Wedding Video? I’m sure this is a question that many brides ask themselves as they are looking at all the options for their wedding day. While wedding photos are almost always considered a necessity, video can sometimes get pushed down the priority list. After all anyone can take a video on their phone and send it to you so you’ll at least have something, right? Well, just keep in mind that when your wedding day is over and everything is said and done, all that you’ll have to remember your day is your photos and videos. With a professional wedding video, you’ll be able to revisit your special day any time by just pressing play. So, as you can see, both of these brides were thrilled with the video they received and now have something they can cherish for many years to come. A wedding video captures all the moments that pictures can’t. You’ll be able to hear the emotion in your voices during the ceremony and laugh again and again at that great speech from the best man at the reception. 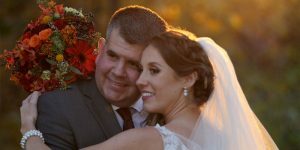 Many brides have told me after a wedding that the day “was such a blur” and watching the video was a great way to catch all the little moments they may have missed.